In high school I started to desire to go to a Christian school. My parents felt it would be best for me to stay in the public school and be a light there. Besides, there was the cost to consider. As the end of high school approached I started talking about going to Bible School. My parents wisely took me through steps to discern God's will, including giving me their advice. Many of these talks took place around our dinner table. Together we decided that I should go to the local community college for two years first. Finally the day came when I prayed with my parents at San Francisco airport and flew with a friend to Chicago to attend Emmaus Bible School. One of the best decisions of my life. That is not the only reason it was one of my best decisions. Even if God hadn't had a husband for me, it still would have been a great decision because after one year of Bible school I felt I knew how to study the Bible for the rest of my life. I certainly didn't have all the answers (and I still don't), but I felt prepared to search out those answers in the Word of God. Today there are awful statistics about how many Christian young people will go off to college and leave the faith. I think that is the saddest thing that can happen. Worse than not finishing college, worse than working a dead end job all your life, worse than having to pinch every penny and (gasp!) worse than never owning a house, a new computer, or a nice car. Attending Bible school is no guarantee they will keep the faith. I have former classmates who did not. Sadly, I have a child who has not (yet). But I think a year learning about the Bible and how to study it could be the most important year in anyone's life. 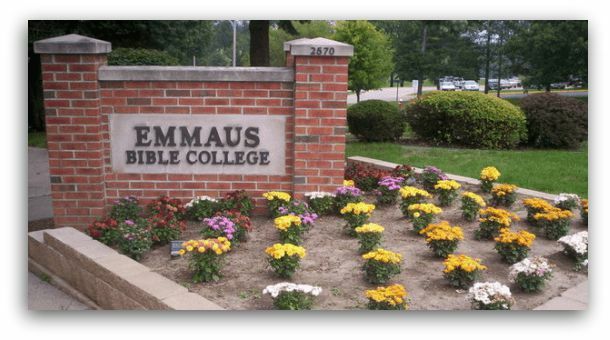 Emmaus is now a Bible College with several professional bachelor's degrees as well as Bible and ministry degrees, including a counseling degree that was named Number One in small colleges. But they still have the one year Bible certificate that I got there, too. Even if Emmaus doesn't offer the career studies your son or daughter wants, a year studying the Bible will never be a wasted year. To learn more about Emmaus Bible College go to www.emmaus.edu. I am a proponent of the Bible and Bible colleges, especially Emmaus, but I received no remuneration or gifts for writing this post.